Water- and dirt-repellent outdoor clothing and sportswear, or anti-fog windshields – there are many daily use products that can gain from very hydrophobic coatings. For such coatings, researchers guided by Dr. Bastian E. Rapp at Karlsruhe Institute of Technology (KIT) have created Fluoropor, a material that is both abrasion-resistant and transparent and that comprises of a fluorinated polymer foam with continuous nano/micro-structure. Fluoropor is described in Nature Scientific Reports. Water droplets roll off the leaf surface: In nature, this occurrence is mostly seen in lotus plants. 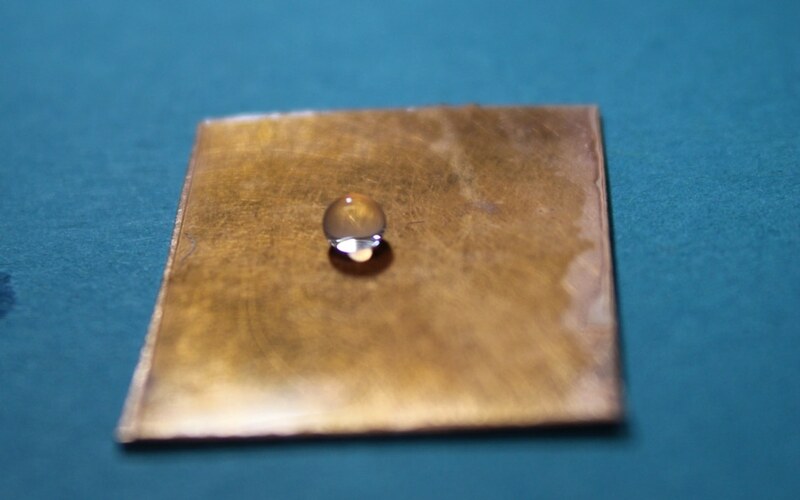 Researchers copy this lotus effect by means of superhydrophobic i.e., highly water-repellent, surfaces. At KIT, the team of Dr. Bastian E. Rapp at the Institute of Microstructure Technology (IMT) creates a new group of such materials called Fluoropor. The researchers integrate the properties of fluoropolymers i.e., plastics with a degree of fluorination, with the roughness well-known in lotus leaves. In this way, they attain surfaces that are both water- and oil-repellent. The new materials are characterized by a high thermal and chemical stability. Along with researchers from the Institute for Applied Materials – Computational Materials Science (IAM-CMS), the researchers in Dr. Rapp’s junior research group NeptunLab succeeded for the first time in creating a fluorinated polymer foam which, in addition, is transparent and unaffected by abrasion. Superhydrophobic properties form because of structuring on the nano/microscale. Such very fine structures (one nanometer is a billionth of a meter) make surfaces extremely sensitive to abrasion and account for the fact that they are not adequately sturdy for everyday applications. In contrast, Fluoropor, the nano-/microstructure is not restricted to the surface but occurs throughout the material, therefore providing the material a high long-term abrasion resistance and appropriateness for daily use. The foam seems optically transparent because of its minute pores whose diameter is lesser than the wavelength of visible light. Fluoropor, thus, is perfectly suited as a coating for transparent substrates such as glass. The material, can, however, also be used on polymers, metal or textiles. Fluoropor can be efficiently mass-produced in a single step in varying thicknesses by so-called photo-induced radical polymerization. The development of Fluoropor is funded by the Federal Ministry of Education and Research within the program NanoMatFutur.